Join the Pack’s own night of Divine Comedy at a unique improvisation jam focused entirely on space work. 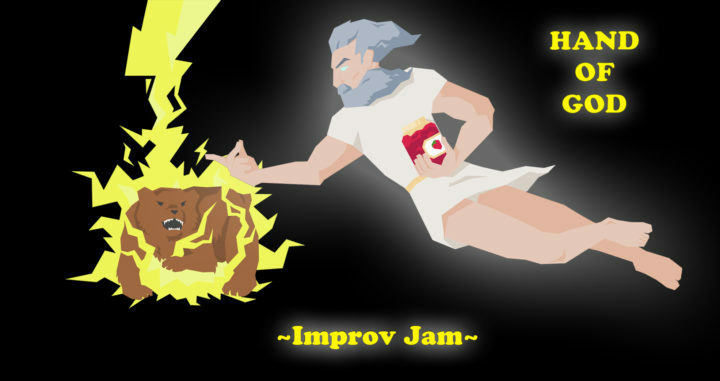 Once a month, a new god descends from above to moderate improvisers, creating and modifying the world to provide a fun experience that keeps improvisers on their toes. See if you can survive the madness and compete for a chance to become the next god of the Pack Theater! Contact handofgodjam@gmail.com for details, questions, or the chance to be GOD!